An international investigation carried out under the leadership of the Police of the Czech Republic, with the support of Europol, has succeeded in dismantling a large network of cocaine smugglers. As part of this international cooperation, on 6th January 2012 the French navy frigate Ventosa, supported by the French drug unit OCRTIS, intercepted 2 boats sailing under British and Spanish flags off the coast of Martinique. On board one of the vessels 1.2 tonnes of cocaine, destined for the European market, was seized and 7 persons of varying nationalities were detained. The seizures were the culmination of an investigation launched by detectives of the National Drug Headquarters of the Criminal Police and Investigation Police ( NPC) in the Czech Republic in December 2009. The aim was to uncover the international operations of an organised group of persons engaged in the sale and distribution of cocaine in several European countries. 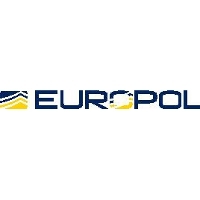 With the support of Europol, a target group of investigators was established in August 2011 composed of representatives of the police anti-drug units from the Czech NPC, U.S. Drug Enforcement Administration (DEA) and police forces of Bulgaria, Slovenia, Spain, Sweden, the United Kingdom and Uruguay. Within the Czech Republic, Operation “FENIX”, led to the arrest of 8 persons, 6 of whom remain in custody. Two further suspects remain at large. During the course of a number of house searches, a total of 400 grams of cocaine was seized as well as a computer and communication equipment, jewellery, a CZ 52 calibre 7.65 mm pistol, a Kora revolver and a hunting rifle with optical sights. Two cars – a Hyundai HQ 1 and a Mercedes-Benz 320 – were also seized. All offenders arrested in the Czech Republic are being prosecuted for a number of serious drug trafficking offences for which, on conviction, are liable to terms of imprisonment ranging between 2 and 12 years. As a direct result of the international cooperation, undertaken in Operation Fenix, a further 14 persons were detained in Slovenia. Investigations continue in relation to this operation.